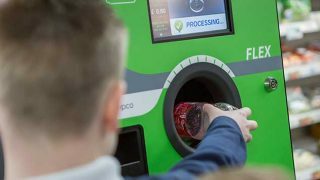 Scotmid Co-operative has launched its first-ever reverse vending machine to encourage customers to recycle soft drink cans and plastic bottles. Entitled ‘Recycle and Reward’, the eco-friendly scheme has been rolled-out for a three-month period in Scotmid’s South Queensferry store – a World Heritage site and a coastal town. 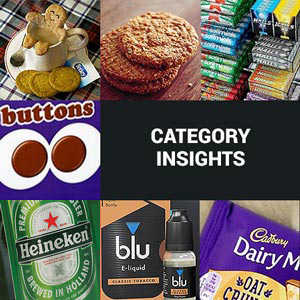 The initiative is designed to help Scotmid gain learnings ahead of legislative changes while the Scottish Government completes the Consultation phase of the proposed Deposit Return Scheme designed to increase the level of plastic and aluminium recycling. When customers return plastic and aluminium soft drink containers – purchased at the South Queensferry store – into the reverse vending machine, they can choose to either receive 10p per item off their shopping bill or donate the sum to environmental charity Keep Scotland Beautiful. 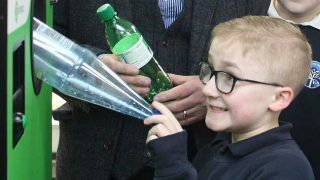 The aims of the initiative are in line with those of Scottish Government – to reduce litter, improve the quality and quantity of recycled materials and increase opportunities for the public to recycle. Scotmid boss John Brodie (pictured) said: “Scotmid are really excited about launching this progressive initiative in our South Queensferry store – it matches our core values and principles as an ethical community retailer. 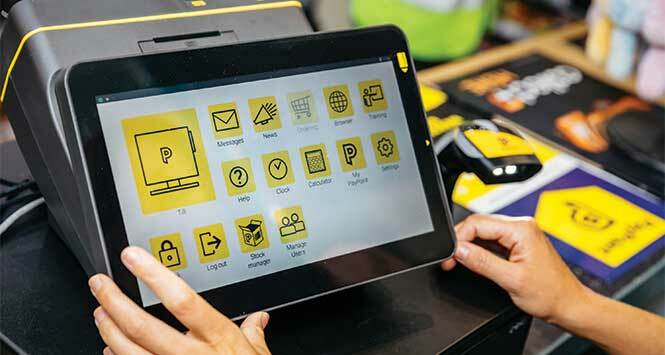 “Reducing the amount of plastic that ends up in landfill and the decreasing the volume of litter found in Scotland’s streets, countryside and coastlines are the key objectives of not only the Scottish Government but all responsible retailers. 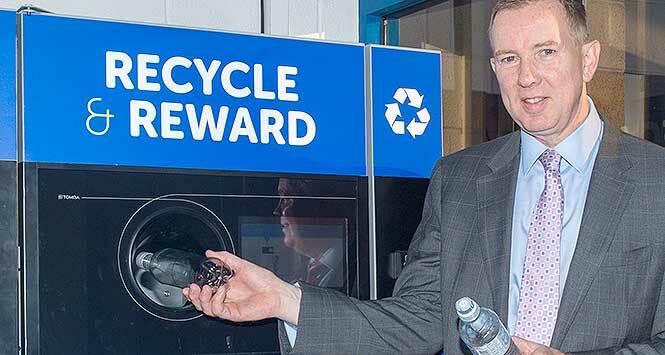 The reverse vending machine has been produced by TOMRA Sorting.